My arrival time varies day to day as my office is actually located 55 miles from home. On days I travel down to the Havant office I arrive around 9am, depending on traffic. When working from my home office I can get connected and online by 8am. My job is incredibly varied. The HGST business has transformed over the last five years from being a HDD component business to now being a broad storage solutions provider covering HDD, SSD, PCIe and most recently Cloud Infrastructure with the launch of our new Active Archive system. My job requires me to be creative across many different areas of our day to day EMEA business. This can be keeping our various internal sales teams driven and motivated, and also externally, with our partners and marketing agencies. Wow, it varies hugely day by day, but I would say the largest portion of my day is spent planning and speaking with my team and customers. Yes for sure. I have pictures of my family, team members and a shrine to Arsenal football club. Not overly no, but I like to ensure that HGST hires plenty of people who are. Not that I can think of, but you might need to ask my wife! On average I would say 12-13 hours, mainly a result of late night conference calls. Combined they take up almost all of my business day. I use LinkedIn as my professional social media platform of choice. I think it’s really important for businesses to embrace social media. The variety of the day to day tasks and being at the forefront of new technology and innovation. I have to admit that I don’t listen to music at work. I always try to take at least 30 mins for lunch. If I’m at home I will take the dog out for a walk. It helps me clear my mind and get ready for the rest of my day. I do get out to socialise sometimes, but I can’t more often because I live so far from the office. I’m lucky enough to have my admin who has now taken over various tasks for me that I found very time consuming! Before I go home at night I like to quickly check my inbox to make sure that no fires are burning! I enjoy movies, running, golf and I have recently taken up road biking which I love. Unfortunately yes. Working for a US corporation, there are often queries or questions that pop up late into the evening. 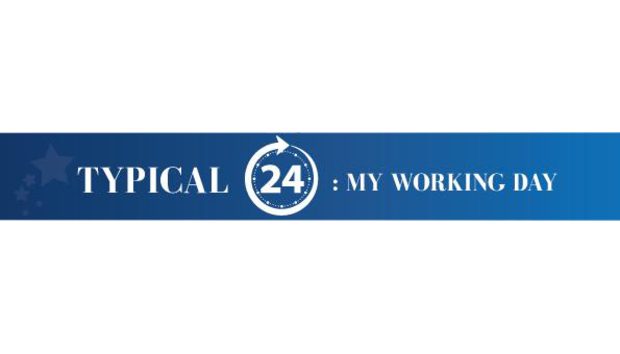 By responding that night I can often get answers or resolutions within their working day, which saves my team 24 hours. If the opportunity ever arises for you to work overseas, take it and embrace it. I did and I believe it was one of the best life decisions I ever made. No I use a work laptop and phone for work.